You have a visual or hearing impairment? Come back to the movies! 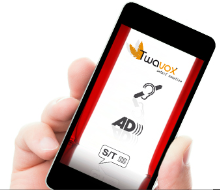 The Twavox application is for you, it will be your best friend to go to the movies. With it, you will hear directly the soundtrack of the film with your listening accessory via your Smartphone or Tablet. 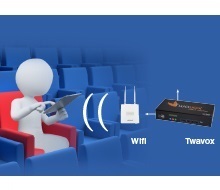 Twavox is a simple and easy to install solution that enables you to meet	the 2005 Disability Act thus enable visually and hearing impaired to access your theaters. 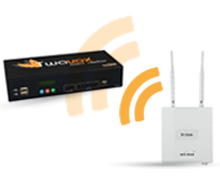 For a list of available films in sound reinforcement, audio-description or with subtitles, thank you to contact directly your equipped cinema with Twavox system. 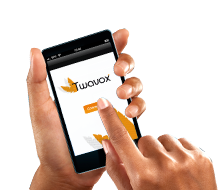 Fonctionnality : Twavox advertises audio, audio description, multilingual subtitles, to the mobile devices for the hearing and visually impaired.